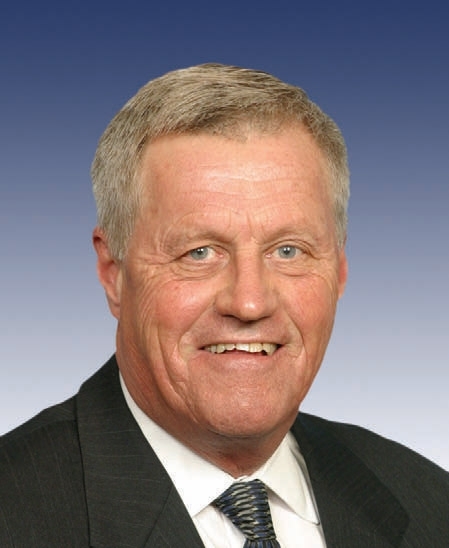 Collin C. Peterson (born as Collin Clark Peterson in Fargo, North Dakota) is a famous Politician from USA, he is 74 years old and still alive, born June 29, 1944. Collin Clark Peterson is an American Democratic politician. He represents the state of Minnesota's seventh district in the U.S. House of Representatives since 1991. He was chairman of the House Agriculture Committee 2007-2011. Peterson graduated in 1966 from Moorhead State University in Moorhead, Minnesota. He then worked as an auditor in Minnesota. He was a member of the state Senate from 1977 to 1986. Peterson defeated incumbent Congressman Arlanda Stangeland in the midterm elections 1990th He has been re-elected nine times. Peterson is Lutheran. He is divorced and has three children. He is born under the zodiac cancer, who is known for Emotion, Diplomatic, Intensity, Impulsive, Selective. Our collection contains 4 quotes who is written / told by Collin. "I am personally saddened and stunned by the tragic events that took place in Red Lake"
"The use of methamphetamines has become pervasive in our country, and especially in rural areas"
"It's time for us to keep better track of our livestock as they cross borders"
"I think we are starting to get some information that will allow us to get to the bottom of this, and I hope we continue to work on this until we get to the bottom of it"